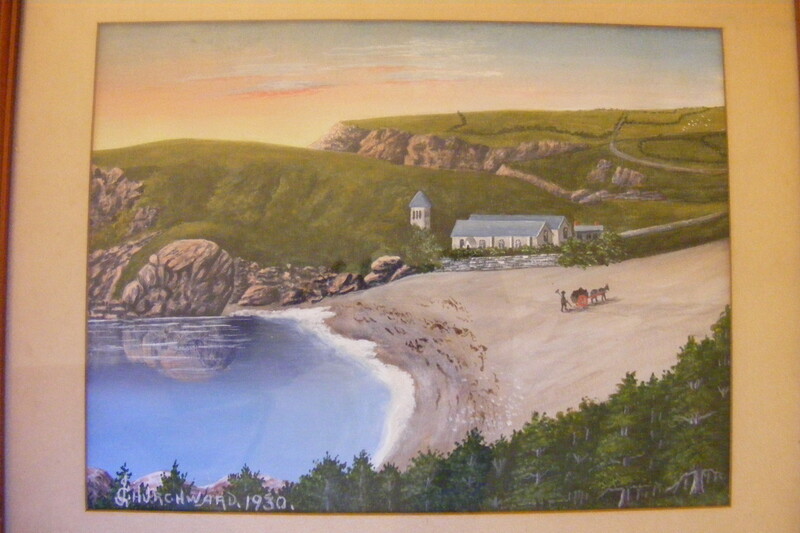 Another kind person, Sue, sent an email with a picture of the painting below with James’ signature. Click on the picture for a larger version. If anyone recognizes the location or if you have any further information on the painting, please send an email to either Sue or myself. For the curious, the first painting, named “The Silver Hook” was reported in this blog on 10/23/11, and the second painting, named “Lake Katahdin Lake – Aroostook, Co. Maine.” was reported on 3/23/13, with a followup on the Silver Hook on 2/4/12. This entry was posted in Paintings, Uncategorized. Bookmark the permalink.